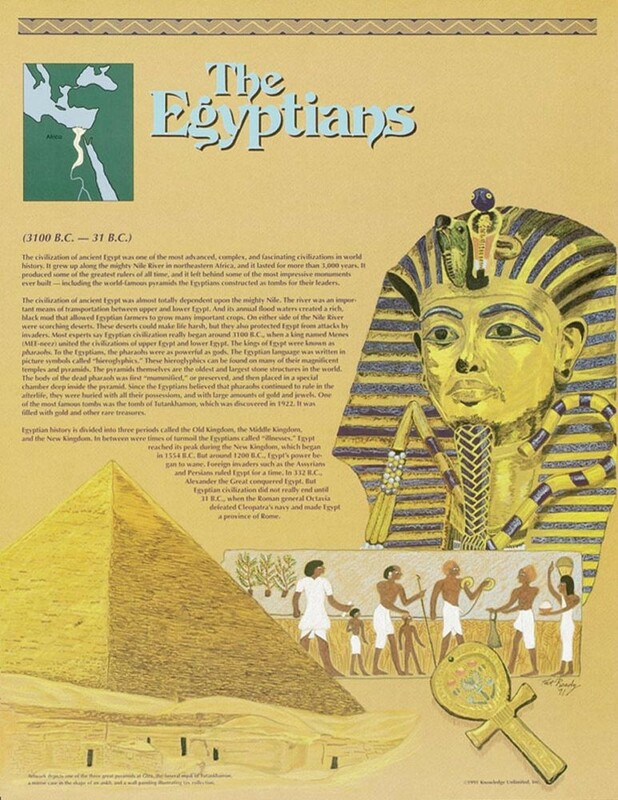 This educational poster features striking artistic images and background information relating to the ancient civilization of the Egyptians. 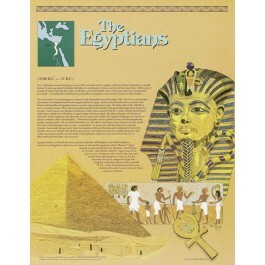 The civilization of ancient Egypt was one of the most advanced, complex, and fascinating civilizations in world history. Lasting for more than 3,000 years, it left behind some of the most impressive monuments ever built -- including the world-famous pyramids.